Mindfulness is all about learning to direct our attention to our experience as it unfolds, moment by moment, with open-minded curiosity and acceptance. skilfully to whatever is happening right now, be that good or bad. structure and function of the brain to improve the quality of both thought and feeling. I teach mindfulness because it is simply the best way I have found of being calm and happy in myself. I want to share its power to reshape our experience of this one, wild life that we have. People who have worked with me say I create a really calm and safe atmosphere to learn the skills of mindfulness. 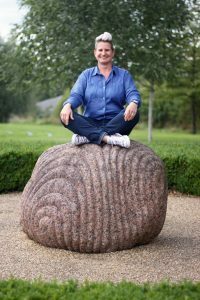 I teach using practical exercises, guided meditation practices and gentle but illuminating enquiry into your experience. Most importantly, I specialize in teaching people to weave mindfulness into their everyday lives. How do people learn it? Mindfulness is always learned in a highly practical way, through experience rather than talk. or everyday activities such as walking and eating. and impulses. Mindfulness clears the way for more calm, helpful, kinder and rational thinking about all aspects of life. It really helps to learn mindfulness with the support of a teacher and in a group environment.